This sugar skull wall clock from Shannybeebo will give your space a unexpected pop of color a charm. 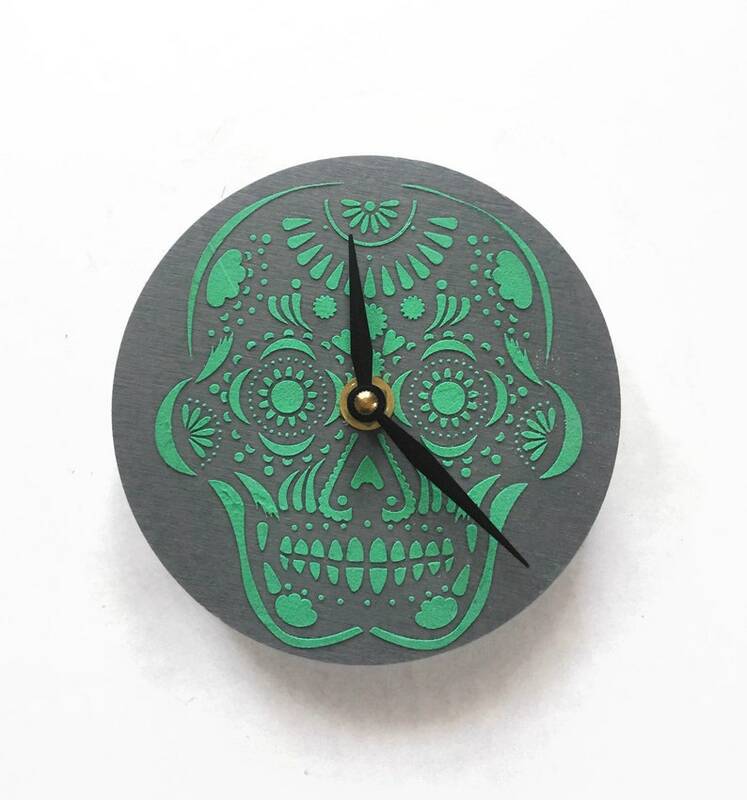 The base of the clock is painted matte gray and features a light green sugar skull. The sugar skull was added using embossing paste, so it does have a little dimension. The reclaimed wood base clock is a zero waste option for your timing needs. Hang this small clock on a wall, or set it on a stand and display it on a shelf or desk. This clock is ready to ship and one of a kind! Clock size- 5" in diameter and 1/4"thick. Requires 1- "AA" battery ( not included). This clock can be made using any colors you'd like. If you prefer different colors, please contact me prior to ordering to discuss options. The colors may differ slightly due to the difference in monitors.